There’s a lot of talk about financial inclusion, the value of the bringing an individual into the fold of the formal financial system, and the vast potential positive benefits of that inclusion. However, there is little discussion on what it actually means to be financially excluded and how, because of this exclusion, the lives of the working poor, their communities and entire institutional systems are more insecure, costly, and constricted. Unpacking and codifying these realities to better understand the consequences of financial exclusion is the foundation upon which we can subsequently and cooperatively design the interventions and incentives necessary to achieve the “blue sky” Sustainable Development Goal of poverty alleviation and inclusion. This access takes many forms, one of which is the ability to participate in the cashless economy in which they can more safely save for and purchase more expensive and often higher value goods and services, such as homes, insurance products, vehicles, school fees, and income-increasing machinery and equipment. It also means, for example, being able to transact using cash in a more safe and efficient manner. Financially included individuals can to more easily remit money to family members abroad, limit or avoid the need to rely on informal loans from money lenders (and the chronically high interest rates), and more effectively manage bill payments (e.g. hospital, electricity, gas) even paying some of those bills online. Another important benefit is the creation of credit transaction histories, which can be used to prove sound money management and profitable business models, helping individual informal sector entrepreneurs to secure future formal financing. The 2017 Global Findex has a number of illustrative facts and figures that begin to paint the picture of what we can measure to better understand the progress towards financial inclusion objectives. Towards this end, one of the most widely touted statistics demonstrates that significant gains have been made in increasing bank account ownership globally. However, even plucking this lowest hanging fruit (a very poor common proxy for actual financial inclusion), is not without its challenges as even in countries where there have been large increases in account ownership, such as India, the Findex notes that 48% of the accounts have been inactive for the last 12 months (p. 65). The challenges practitioners have faced in working towards increasing bank account usage, and the follow-on expansion of additional services and products are indicative of the complexity of engaging with the barriers and gaps that have fostered high degrees of financial exclusion. Why weren’t we all invited to the financial party? The widespread financial exclusion we see today has resulted from the convergence of an unyielding set of preconditions for formal financial engagement as determined by regulators, legislators and financial service providers, with a variety of long-standing cultural, market, social, political and historic forces and realities. 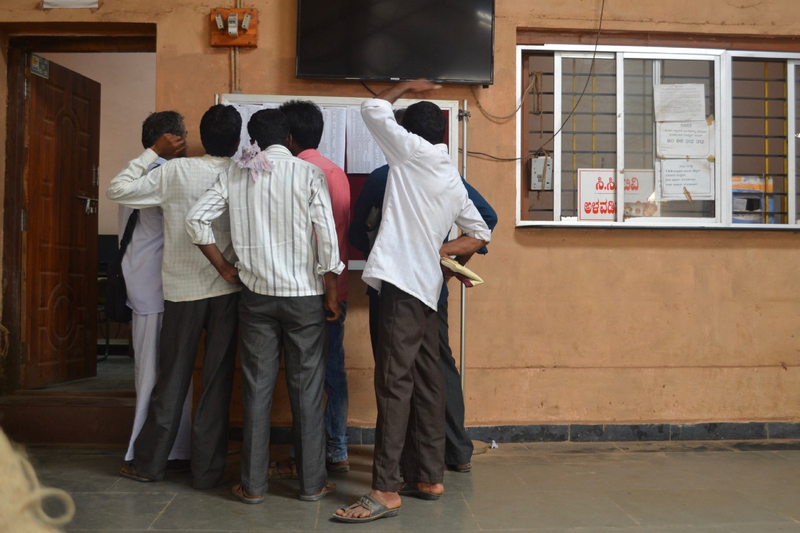 Many have been perpetually unable to meet the rigid financial system engagement requirements because of the tangential effects of their socio-economic status, traditional caste systems (particularly in India), low advanced education levels, limited networks, historical prejudices, general information asymmetries and lopsided market regulations that prioritize economic gains to the detriment of social protections. These tangential effects and system engagement requirements thus converge to force high degrees of financial exclusion in various populations with negative social and economic ramifications. Examining these ramifications allows us to better comprehend not just the depth and complexity of the consequences of financial exclusion, but also begin to identify the interconnected barriers and service gaps that must be navigated in the process of fostering financial inclusion. A recent WRI report notes that in 2018, 85% of Kolkata’s urban work force was informal, and that nationally, informal enterprises generated 46% of the GDP in the country (outside of agriculture). While the exact figures naturally vary from city to city within and outside the country, India is not unique in both its high degree of informality, and the extensive impact that informal enterprises have on the national economy. Despite their predominance and importance, informal enterprises and informal entrepreneurs are particularly prone to financial exclusion, and are exceptionally sensitive to its consequences. Building on this correlation, for the purposes of this discussion, we will delve into some of the de-facto negative consequences of financial exclusion by illustrating how they are felt by the informal entrepreneurs themselves. 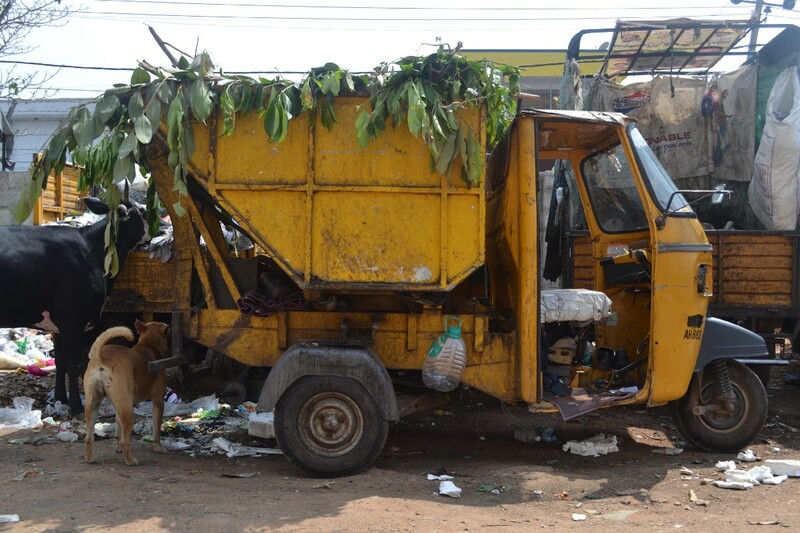 To do this, we will focus on informal sector waste workers. Financially excluded entrepreneurs’ livelihoods and lives are exceptionally insecure. They are generally environmentally vulnerable, often living and working in low-resilience geographies highly susceptible to increasing natural disasters and lacking in the social safety nets to effectively navigate not only environmental shocks, but also those of the household such as illness, injury or death. They also run their businesses exclusively in cash as they do not have access to mobile money, ATMs/debit cards or savings accounts, and are thus extraordinarily vulnerable to theft, poorly implemented regulatory changes (economic shocks), extortion and unfair practices, and political fluctuations. One specific example of this insecurity is when Indian Prime Minister Modi announced in November 2016 that all 500 and 1,000 INR bank notes would be demonetized within hours. 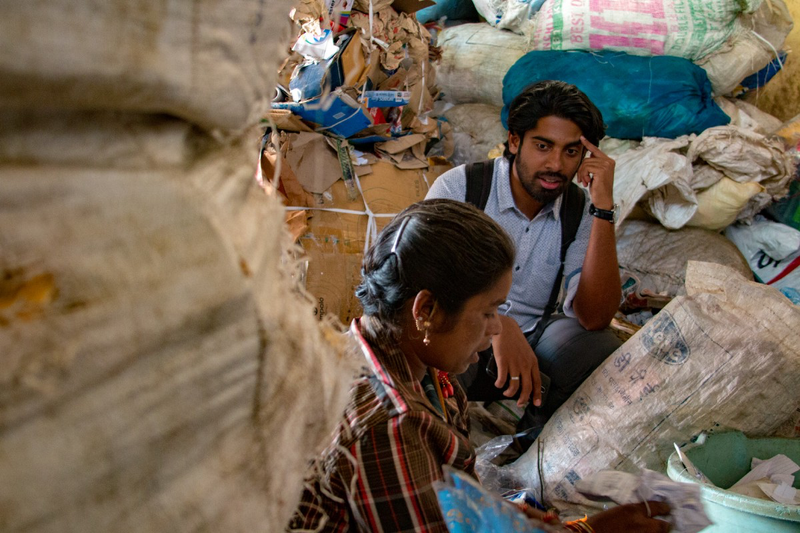 Countless waste workers in the informal economy were suddenly without the currency notes that typically underpinned their entire livelihoods. Without the safety net of a debit or credit card or extensive savings to fall back upon while the bank note transition settled, these waste entrepreneurs, individuals least able to afford hours away from work to stand in bank lines to trade in their cash, were forced to do just that. Further, a large proportion their operations took place in the 500–1,000 INR scale, and thus the waste workers’ households were critically cash limited and they were often left to scramble to acquire the physical money to buy their daily necessities. 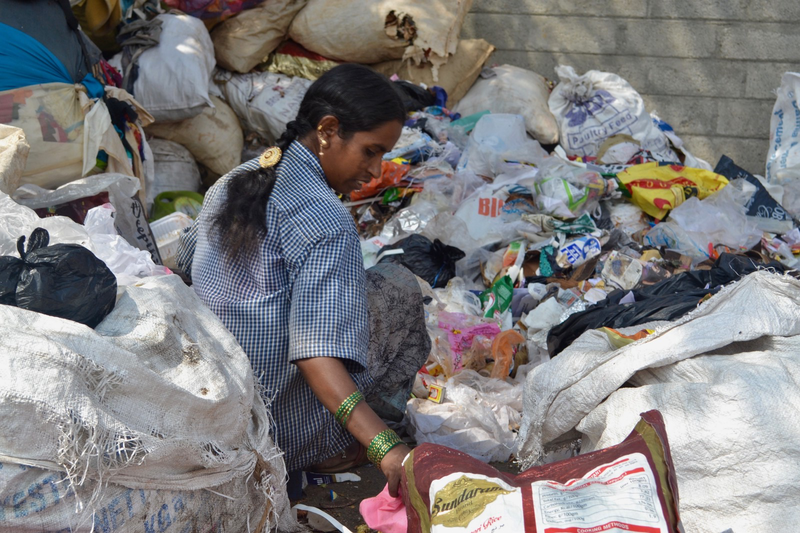 Beyond the immediate household impacts, waste workers in India, as in many developing nations, effectively subsidize a municipal waste management system that cannot cope the amount of trash being generated. Thus, the waste workers themselves are a critical facet of a much larger supply change of products and services that assists the municipality in managing its ever-growing trash problem. So, when the waste workers did not have the cash or safety net of financial services to efficiently operate their businesses of collecting trash and sorting out the recyclables for re-introduction into the global market; the environment, urban population, municipality, and global recycling industries also suffered. The insecurity of financial exclusion when paired with a cash-only operation is further compounded by entrepreneurs’ costly forced reliance on informal financial resources for any business or personal needs beyond their ability to save or deduct from their regular household budget. With low levels of preventative health care, no insurance, limited legal recourses in cases of harm or extortion, and a forced dependence on unhealthy practices such as open defecation, consuming unpotable water and burning kerosene for lighting, the costs associated with being poor and financially excluded can very quickly accumulate with few viable options for repayment. Further, running one’s own business is not only expensive, but also not particularly profitable, especially when you do not have the resources nor skillsets to expand or differentiate your operation from your neighbor’s. Without access to the formal financial resources that would allow an entrepreneur to expand her business and increase her income, such as by buying a truck to expand a trash collection radius, purchasing processing equipment to increase farm produce value before sale, or having a working capital line to better manage cash flows, the enterprises persistently have very small margins of profit. Sell productive assets such as livestock or vehicles for quick cash to the detriment of future income generation. With these limited choices entrepreneurs become mired in usurious principle and interest rate repayments and unavoidable expenses that further entrench their poverty and restrict their ability to strengthen their businesses, increase their incomes and provide for their families and serve their communities. 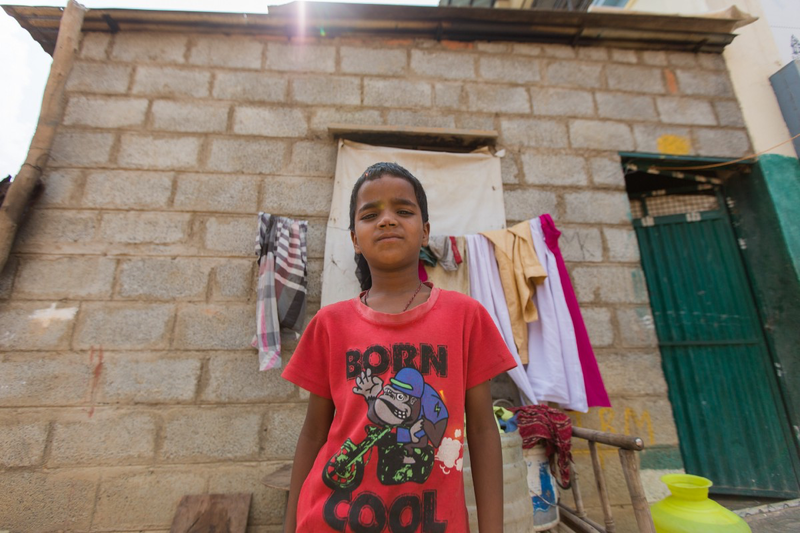 Additionally, when confronted by an inability to save for or borrow to pay school fees, perhaps combined with a loss of an adult waste worker’s income due to illness, injury or death, financially excluded parents may need to pull their older children out of school so that they can help increase the family’s income from a young age. Thus, the parent’s financial exclusion not only limits their own lifetime income earning potential and ability to contribute to the formal economy, but critically impedes successive generations’ ability to strengthen their own livelihoods and become economically and socially mobile. To leave you with one last example, picture for a moment that one of these waste workers who made it through de-monetization begins to work to expand her business, identifying a few more streets around her collection area whose trash isn’t efficiently collected that she thinks she can service by purchasing a truck to expand her radius. From the strictly financial perspective, putting to the side the complex coordination necessary with the government, police, and a whole host of other invested stakeholders, she requires money to purchase the truck. The dealer says he will happily sell her the vehicle but refers her to a bank requesting that she coordinate the financing through it, since the expense is well beyond the cash she has been able to save. The dealer wants to sell her the truck, the bank wants to add to its customer base and extend a new loan to a hard-working entrepreneur, the community wants to have more effective trash collection, plastics and metal recyclers want more materials sorted by her out of the waste streams that they can buy, reuse and repurpose, and she wants to make more money through this business expansion to provide for herself and her family. But because she is financially excluded, without the skills, networks, and often even paperwork to access that formal financing from the referred bank, she is not seen as creditworthy, characterized as a high risk, and ultimately cannot purchase that truck. None of these positive benefits can materialize. If this is what’s wrong, how can we do what’s right? It’s all well and good to feel like you understand how a problem is felt by the people it hurts the most a bit better, but now we need to take the next step. Now we need to take this knowledge, this little bit of a glimpse into how financial exclusion permeates the lives, livelihoods and economies of our world, and use it. One of the most frustrating aspects of financial exclusion that threads its way through this description is how achieving inclusion is dependent upon formal recognition of personhood by the state, which can be incredibly challenging for rural and/or under-educated populations who often don’t have immediate access to the physical paperwork proving who they are. Concerns over terrorism and the potential fragility of an inter-linked global banking system have necessitated strict know-your-customer regulations that leave little room for engagement by people who lack the confidence, capacity or physical demonstration of identity to independently engage with the financial system. And the banking products themselves frankly don’t always seem worth the effort it takes to overcome these barriers because they’re not tailored to the needs of an informal entrepreneur. There is progress, India in particular has made impressive gains in assisting individuals in acquiring their formal personhood in the eyes of the state (ie Aadhaar, digital lockers etc. ), which then allows them to initiate their engagement with the formal financial system by opening a bank account. But as noted when we started this discussion, that is the first step on a very long journey towards actual financial inclusion. To actually address the nuanced barriers and gaps that perpetuate financial exclusion and assist informal entrepreneurs in moving beyond establishing their personhood and opening a bank account that can then become the gateway into the formal financial system, we need a nuanced, multi-stakeholder engagement that forces a systemic change. We need more actors that are willing to look beyond the low-hanging fruit and establish partnerships and interventions that drive towards full inclusion, not just the first step. We need more organizations to hold the excluded entrepreneurs’ hands, identify their individual growth barriers, such as financial and digital literacy, distrust and/or intimidation with the banking system, business management skills, and identification of new equipment options, and assist them in overcoming these challenges, while also enabling them to demonstrate to banks the value of creating more responsive and inclusive products for a diverse customer base. Great! Who is doing this? Organizations like S3IDF, MIT D-Lab, and Root Capital, are effectively assisting poor, financially excluded entrepreneurs in accessing the financial services and products they require to engage and become financially included in the more holistic, expansive sense of the World Bank’s definition. 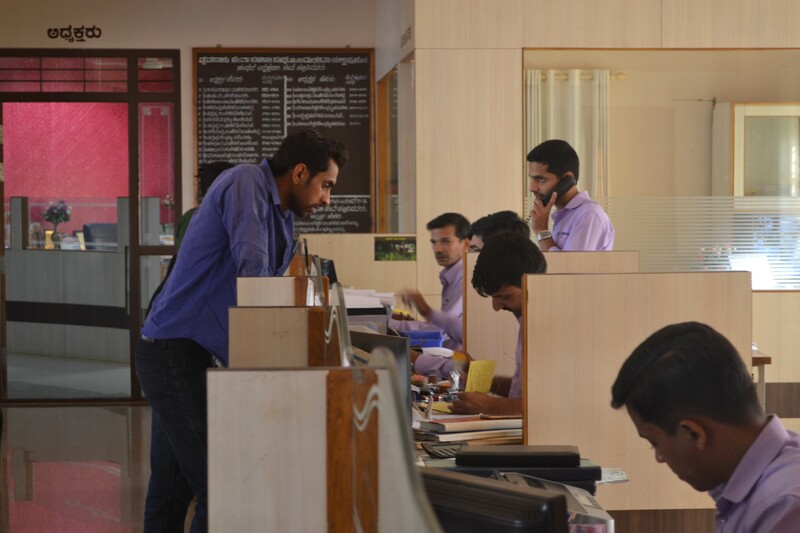 Interventions include guaranteeing initial bank loans before a credit history is established, implementing technology buy-back agreements in case of default, and conducting in-depth trainings with both loan officers and entrepreneurs, but increased participation in this type of systemic intervention from banks, NGOs, investors, governments, foundations, civil society organizations, corporations and more is crucial to expanding intervention impact and effectively and sustainably addressing the pervasive ramifications of financial exclusion. By beginning to critically think about how financial exclusion feels for an individual we can ensure our collective ability to build an intelligent foundation on which we can develop a replicable pathway towards sustainable financial inclusion for the excluded. Reach out, collaborate, demand the creation (or do it yourself) of long-term programmatic interventions that actually thoughtfully change the system, go deeper. Let’s create a movement that will make possible more stable, affordable, fruitful livelihoods for the financially excluded, their families and their communities.